Receiving chiropractic care is completely safe during pregnancy. We want you to be as healthy as possible during your pregnancy so that you can give birth to a healthy baby and recover quickly so that you can nurture the new addition to your family. Chiropractic care can help alleviate certain pregnancy symptoms and help you have a smoother delivery. 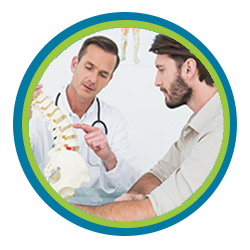 Receiving regular chiropractic adjustments and massage therapy can help reduce back and neck pain, nausea and general discomfort. As your uterus and abdomen expand with the baby, it can put pressure on your lower vertebrae and misalign your pelvis. This can decrease the room your baby has to grow and increase your back pain, and it can even cause sciatica. By having your pelvis and spine adjusted, you are keeping them in their proper alignments and helping reduce the symptoms of pregnancy. Massage therapy during pregnancy helps reduce muscle pain and overall dicomfort as well as mental stress and anxiety. It can also help you relax, which is good for both you and your growing baby. What adjustment type do you use for pregnancy related back and neck pain? The Webster Technique is safe and effective for pregnant women. This is a variation of the diversified technique and has been studied extensively for safety and effectiveness. This technique focuses on keeping the SI joint properly aligned. This joint is located near the base of the spine and close to the top of the center part of the pelvis. Misalignments in this joint can cause back, hip, groin and thigh pain, and cause normal pregnancy discomfort to feel worse. It is also known to contribute to a feeling of pelvic stiffness, and discomfort is usually worse while standing and walking. Can I receive chiropractic adjustments in my eighth month of pregnancy? Chiropractic adjustments are completely safe well into the eighth month of pregnancy. In fact, there are several benefits to receiving adjustments in the eighth month, including less discomfort, fewer breech births and a smoother, less complicated delivery. Many women receive adjustments late into their pregnancies to help their babies move into a head down position, which is needed for a natural, vaginal childbirth. Will chiropractic care help with my nausea? Nausea is a common pregnancy complaint. It is usually associated with morning sickness at the beginning of the pregnancy, but some women feel nauseous their entire pregnancies. Receiving chiropractic adjustments to keep your spine and pelvis in alignment can help with upset stomachs related to pregnancy. Our chiropractor recommends eating several small meals a day to stave off hunger and reduce feelings of nausea. Eating crackers, bananas and other bland foods can also help alleviate chronic pregnancy nausea and help you feel better during the day. 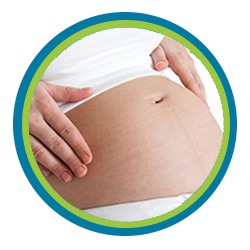 For more information on our prenatal chiropractic care available in Tempe, Mesa, Chandler, Paradise Valley, Fountain Hills, and Phoenix, AZ and to schedule an appointment, please call us at (480) 994-4411.